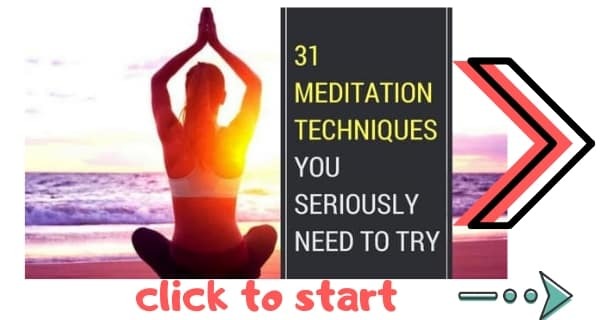 Ultimate Guide To Every Yoga Mudra For MeditationDid you know that for thousands of years people have used hand-gestures known as meditation mudras. There are more than 50 yoga mudras and many more mudras used in Buddhism, Hinduism and other spiritualities. These meditation mudras are powerful ways of healing and empowering the mind and body. And they can be used alongside mantras too. They are used mostly in Hatha Yoga (one of the 28 types of yoga). Hindu and yoga mudras have been popular in the East for more than 4000 years. But they are still relatively unknown in the West. I’m about to change that. In this guide, I’m going to bring yoga mudras to the West like never before. I will reveal absolutely everything you need to know about these spiritual hand-gestures and body positions. My aim with this guide to yoga mudras is to present the ultimate article on mudras, including Hindu, yoga, and Buddhist mudras. There are many articles online that introduce the mudras, but I have not found a single guide that really explains what mudras are or how they work, let alone one that examines the nuances of yoga, Hindu, and Buddhist mudras. I want to fill that gap. With this article I am bringing together my knowledge of mudras. I have spoken to great masters, and I have read countless articles and books on mudras. I am bringing that knowledge together to create this guide. My purpose with The Daily Meditation is to spread meditation and spirituality to a million people. If that is a mission you believe in, join me. Share this article on Facebook and Twitter, leave a comment, join me on social media and via our newsletter, and let’s bring spirituality to the masses. 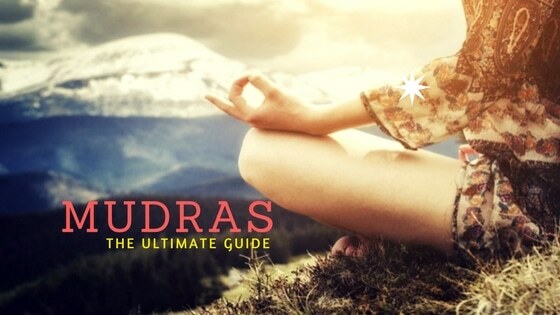 And now for my ultimate guide to mudras. What Are Mudras in yoga, Hinduism and Buddhism? Let’s start from the beginning. What are mudras? What do we mean when we (for instance), talking about the Apan mudra? Mudras are symbolic gestures that involve various parts of the body. For instance, there are mudras that involve the eyes, the body, the breathing organs… and of course there are mudras that use the hands and the fingers. Different mudras symbolise different states of mind. For instance, the Abhaya mudra, which we will look at later, symbolises fearlessness. The Gyan mudra, meanwhile, brings peace and serenity. For all mental states, there is a corresponding mudra. Some mudras, like meditation mudras, symbolise states of mind. But not only do meditation mudras symbolise states of mind they also help you to access those states of mind. So if you, for instance, use the Abhaya mudra for an extended period of time you will become fearless. This is precisely what happened to me five years ago. I went through a period of terrible stress when I was forced to leave my home in Canada to return to England. For personal reasons my mind was literally full of fear about my health and my future. I needed to change that. I took myself outside our home in Oxfordshire, England and meditated for six hours in the rain while using the Abhaya mudra. Let me tell you, a six hour meditation session using the Abhaya mudra will make a huge difference to your mind. Six hours later I felt focused and mentally strong. 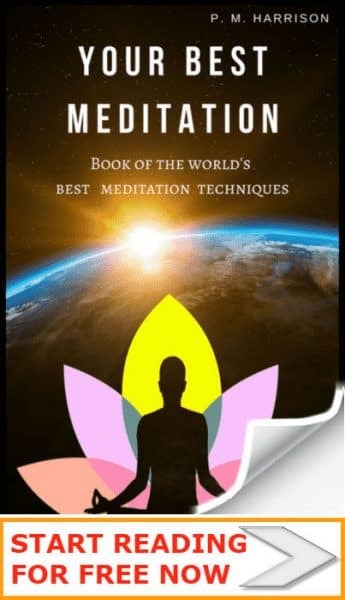 Thanks to this and other meditation sessions, I overcame stress, I regained my health, and I have been healthy ever since. That’s one of many times that mudras have worked for me personally. But let’s look at how mudras work scientifically. Mudras are a way to use body positions and mostly hand positions for healing. Mudras activate certain parts of the brain and body in a way similar to reflexology. 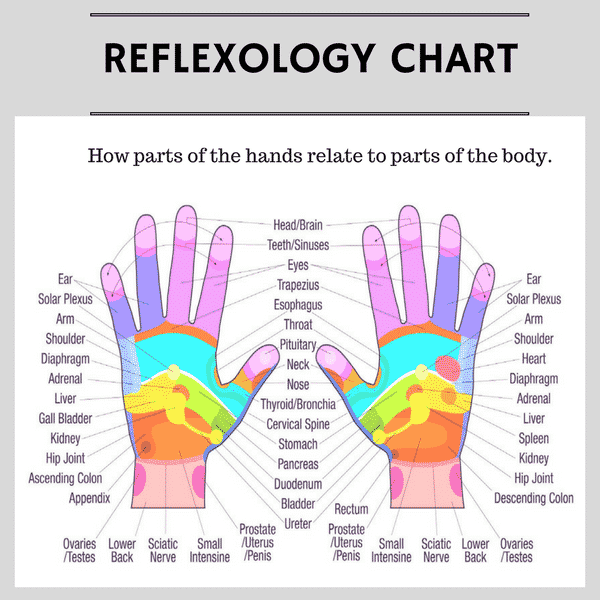 We can learn a lot about the use of yoga mudras by considering hand reflexology charts. When we use mudras we activate the hands and fingers and we influence the correlated parts of the body, as shown in the chart above. Some yoga mudras, however, use not just the hands but other parts of the body too. The Maha mudra, for instance, is a full-body mudra performed by stretching the spine out and grabbing hold of one foot. Yoga mudras that use the body take advantage of the psychology of nonverbal communication (body language). Thanks to science we know that the way you hold your body has a direct effect on your state of mind. For instance, when you are trying to look inside yourself to tap into intuition, you will naturally move your eyes closer together, going semi-cross-eyes and gazing upwards between the eyebrows. You will do this naturally and unconsciously. But this exact same position, with your eyes slightly crossed and gazing upwards between the eyebrows, happens to be the exact same position used in Shambhavi, the “Eyebrows Gazing Gesture”, which, not by coincidence, is used for insight and intuition. You can feel for yourself the effect mudras have on you. If you hold any of the mudras (there are 60 mudras described below) for a few minutes, you will feel a difference in your mental state. So while there is little science (so far) to back up mudras, you can feel the effect they have for yourself. Mudras do not come from religion. This an erroneous way of thinking. The actual word Mudra comes from Hinduism, but mudras do not. We naturally make all the mudras without thinking about it. Take a look at the mudras lower down on this page and you will notice that you naturally and unconsciously make most of the gestures used in yoga mudras. So what does that tell us about mudras? It tells us that mudras are natural body language gestures. Therefore, when we practice yoga mudras or meditation mudras we are intentionally putting our body in gestures that we have unconsciously been making all our lives. Normally, our mental state changes the way we hold the body. If we are being kind and generous, we will hold our hands out with the palms upwards as though offering something. This is a body language gesture we do unconsciously when we are feeling kind and generous. What if we consciously hold our hands out with the palms up? Then we will produce the mental state of kindness and generosity. If we knew where mudras originated from it would be easier to understand the science behind them. Unfortunately, no one knows precisely where mudras originate from. They are found in Asia, but they are also used throughout the world. And although the term “Mudra” is Hindu in origin, the actual hand positions used in mudras are ubiquitous. Humans have used these gestures for millions of years long before religions even existed. It is, however, quite inevitable that mudras should be used globally and by all societies, because mudras stem directly from body language. Mudras are modeled poses of moves that we naturally make. All people and many animals use their hands / paws as a way to express emotion. People from all cultures, as well as animals like chimpanzees, use their hands or paws as a primary means of communicating emotions. And we all share certain gestures, such as the gesture in which we place our palms together, fingers reaching to the sky. Christians call it the “prayer gesture”. Hindus and Buddhists call it the “Anjali mudra”. And even chimps use the exact same gesture. Just goes to show, we are more alike than we are different. Hindu mudras and yoga mudras have always existed in India. But they’ve existed in Europe too. Many of the hand gestures used in Christianity actually stem from Nordic rituals, such as raising the hands to invoke the gods. Just think about how you use your hands. The next time you talk to someone, be mindful of how you are expressing your emotions via your hands. You will notice that you naturally make lots of mudras and gestures and that they naturally relate to your emotions and mental states. Mudras and Hastas (arm poses) are very important in Hinduism and represent the many Hindu gods. Each god has specific attributes, so by using the mudra of a specific god Hindus will invite that same trait into themselves. And these same mudras are seen in Indian Classical Dance as well as in dance meditations. You’ll see many of the mudras in Buddhist and Hindu art too. Many cultures believe that the universe is comprised of different elements, for instance in China, Japan and India. Most cultures, for instance, share the common universal elements earth, air, fire, and water, and some cultures, like Buddhism and Hinduism, also recognise space (or ether). The better you regulate those fundamental elements in your body, the healthier you will be. Earth: Earth, or Bhumi, refers to matters that are solid, which include your own body. Air: Earth is called Pavan in Sanskrit and related to breath. Fire: Fire (Agni) provides warmth and can refer to bodily heat and to the warmth provided by the breath. Water: (Jala) is one of the most important elements for health, wellbeing and survival. All of the liquids in the body come under this element. Space: (Ether / Aakash) is the element that brings the others together. When these elements are balanced and harmonised in the body you will be healthy. And when these elements are out of balance you may suffer from illness and disease, whether mental or physical. Mudras for Ether will use the middle finger. How Do You Practice Yoga Mudras And Meditation Mudras? It is very easy to practice a yoga mudra, provided you know what the mudra is. All you have to do is place your hands and finger into the right formation. For instance, to make the Karana Mudra you simply extend your fifth and second fingers and curl your remaining fingers inwards so that your thumb touches your third finger. Here are the most important tips to bear in mind when practicing mudras. 1. When you practice a yoga mudra you should have only minimal pressure in your fingers and your hands should feel relaxed and with no tension. At times this might be a challenge. Some mudras are quite complex. For instance, the Shakti mudra requires that you make a fist while extending your fourth finger upwards and your fifth finger outwards. The Shakti mudra is fine for young yogis, no doubt, but a challenge for older people and especially for people with arthritis. But thankfully, not all mudras are as complicated as the Shakti mudra. 2. You may notice that you struggle to make certain mudras. Perhaps you can do a mudra with one hand but not with the other, or you need to use one hand to support the other before you can do the mudra. In that instance, simply do what you need to do to perform the mudra comfortably. If you can only make a mudra with one hand while using the other for support, that is fine. 3. The more you practice the mudras the more comfortable you will be with them and the less pain you will have in corresponding parts of your body. 4. But bear in mind, mudras do not need to be performed perfectly to have effect. Do your best, and trust that the more you practice the easier it will become. 5. You can do a mudra in any of the meditation positions. Lying down, sitting up, standing, all are fine. The only exception to this is when the mudra involves specific body positions. 6. As with meditation, when you practice a mudra you should have good posture. Make sure your spine is in good alignment and that your entire body is relaxed with no tension (except for some specific yoga mudras, like the Maha mudra above, that intentionally use tension in the body). 7. Relaxation is important to the flow of energy around the body, whether that’s Kundalini energy, prana, chi, or any other kind of energy, the more relaxed you are the better your energy will flow. 8. You might also like to use pranayama (rhythmic breathing used in Yoga) to get more into the mudra. What do you think about when you use a mudra? Or should you meditate? When you use a mudra you can meditate in one of the many different types of meditation. Or you might choose to think about something. Unlike in meditation, when you practice a mudra you can think about something else if you wish. However, in my experience, for the best effect you should meditate. The choice is entirely yours. Thinking about something will not prevent the mudra from working. If you are meditating, the best type of meditation to use are basic breathing meditations. Be mindful of pranayama, of the rhythmic flow of your breath through your body. And for the best effect with many mudras you will want to adopt a certain position while visualising a certain thing while using the mudra. The complete combination of these elements can lead to profound changes in your mind and body. Where and when should you practice mudras? It is entirely up to you when and where you practice mudras. Just make sure you are relaxed and focused. Some yogis even practice mudras while stuck in traffic, though there are of course inherent dangers to that. Some of the best times to use mudras are in the morning, during lunch break, after work, and before bed. As I mentioned, it is entirely up to you when you practice the mudras. Try to be relaxed and focused. If you truly want a profound transformational experience, go to a relaxing and beautiful nature spot and try practicing mudras there. You’ll love it. You can just do mudras at home if you like. Then, once you have grown accustomed to the different mudras you will be able to use them more easily and more quickly wherever you happen to be. For instance, if you’re stuck with a bad customer on the phone at work you can use the Gyan mudra (palms up with index finger touching thumb). The Gyan mudra is a very relaxing mudra. So in stressful moments you can use the mudra for a quick spot of relaxation. Which yoga mudra or meditation mudra should you use, and in what order? When you practice mudras, you should not hop from one mudra to the next. This is a mistake lots of beginners make. And it is understandable. When you’re doing something new it’s fun to try out different things. But this will not work for mudras. It takes a period of time for a yoga mudra to be effective. If you are a beginner you will need to use a mudra for at least ten minutes before it has an affect on your mind. If you switch from one mudra to the next you won’t experience any heightened mental, you’ll just get a vague impression of one state, and then another and so on. It is much better to stay with one mudra and to truly get into that mudra so you can experience it fully. Choose one mudra and stick to it for at least ten minutes before moving on. You might also like to leave a gap between different mudras. When you use a mudra you will change your mental state and you will change your world. Every change of mind brings with it a change of world. So, when you use a mudra you change your mind and change your world. But it will take a short while to truly experience those changes. So, when you are starting out, leave a few hours between different mudras. How long should you hold a mudra for? There is a lot of discussion about how long you should hold a mudra for. The great masters do not agree on a set amount of time. Keshav Dev, an Indian mudra researcher, says that you should hold one mudra for 45 minutes a day. However, if you are new to mudras you will struggle with this and you may end up with pain in your fingers. That’s why it is best to use one mudra three times a day for 15 minutes at a time with a break of at least a few hours between each session. Kinesiologist Kim da Silva, a recognised mudra expert, recommends that you choose how long you will hold the mudra before you begin. This helps to stop distractions. If you don’t set a time you will be checking the clock, and that is not conducive to heightened mental states. If you are using mudras to cure a specific problem, or if you have a health condition, you should ask a healthcare professional for advice on which mudras you can use and how long you can use them for. If you have arthritis in your fingers, for instance, holding a mudra for too long will lead to pain and perhaps even injury. Some mudras are used for health conditions. For instance, the Linga mudra can be used for lung complications. Mudras like this should only be used for as long as necessary. When you notice the health benefits you are looking for you should stop. When you finish a mudra, you might like to be still and silent for ten minutes and meditate on your breath. This is a great way to finish your mudra session. Holding the actual hand position of a mudra is the basic foundation of the experience. If you would like to enhance the experience, you use visualisations, affirmations, and breathing techniques. The first and most important of these enhancements is the breath and prnayama. 1. You should make sure that you have good posture anytime you use a mudra. Your spine should be in good alignment and your arms should be relaxed about one inch to the side of your body. You will know when you have the right position because you will feel more solid and more stable with less tension in your body. 2. Before you begin a mudra session you should make sure that you are breathing deeply (diaphragmatically). The easiest way to do this is by using breathing meditations for a few minutes. Do Nine Round Breathing before you use a mudra. It will produce a much better result. 3. If you are using a mudra for relaxation you should breathe deeply and in a slow and relaxed fashion. 4. If you are using a mudra to produce energy or to refresh yourself, breathe out more vigorously. 5. Overall, breathing should be flowing, energised, deep, and slow. 6. When you inhale, you can apply a little more pressure in the hands and fingers. 7. When you exhale, relax the hands and fingers (while still maintaining the mudra). 8. As well as using these breathing tips, you can add visualisations and affirmations to your mudras. Though, the exact visualisation and affirmation will depend on the mudra you are using. There are many more ways that you can enhance your mudra practice. Essentially, any way in which you can influence your mood can also be used to enhance your meditation practice. If you visit a meditation retreat, a rehabilitation centre, a luxury spa, or anywhere else that is designed to get you feeling a certain way, you will hear relaxing and uplifting music. You already know the beneficial effects music can have. And you can used music to enhance your mudra practice too. I’ve put together a collection of the best free meditation music, which you might like to use during your mudra practice. Take a look. There are lots of very talented artists in that collection. You will definitely find some music that compliments your practice. But you do not need to use specific meditation music. Any music that creates the right mental state can be used during your mudra practice. For instance, if you are practicing the Apan mudra to relax, you might like to put on some relaxing classical music. Or if you are using the Ksepana mudra, which produces happiness and positivity, you might like to put some uplifting music on. Just as you can match music to mood, you can do the same thing with colours. Colour psychology can be used to help create the right mood in the room you are practicing your mudras in. There are many more ways in which you can enhance your practice. Try a variety of ways to produce the right mood for you. So Why Use Mudras? Healing, Health, Mood, Body, And Mind. One of the main reasons to use a mudra is to heal your body and mind. Mudras can be used to cure a variety of both mental health and physical health problems. There are many mudras that can help with physical health problems. The majority of these mudras come from Chinese medicine and are based on Five Element Theory. It can seem quite bizarre that putting your hands into a specific position can help with a health problem in, for instance, your lungs. But once you actually try the mudras you can feel the difference for yourself. It is worth noting that the mudras should not be used by themselves to cure health problems. If you are suffering from a health problem you shouldn’t look at mudras as the be-all-end-all answer to your problems. Instead they offer additional support. The best health system is a holistic one like Ayurveda, that includes mudras alongside diet and exercise. When you use a mudra for a specific health problem you will usually use one specific mudra every day for a number of weeks or even months. It takes many months or years for most diseases to form, so it takes quite a long time for a mudra to heal the problem. Ashwini (Horse) Mudra: Helps with sexual health. The Gyan Mudra is performed by touching the tip of the index finger to the tip of the tumb and having the remaining three fingers held straight out. The Gyan mudra enhances your knowledge and the way you use that knowledge.The thumb’s tip relates to the energy of the endocrine and pituitary glands. By using this mudra for ten minutes you will activate these glands. This improves memory and helps to enhance the brain. It heightens attention and can cure insomnia. It is also helpful for anxiety and depression. The Prithvi Mudra is performed by touching the tip of the ring finger to the tip of thumb, with the other fingers pointing straight out. The Prithvi Mudra helps to cure musco-skeletal problems and also helps with gaining weight and also reducing skin problems. The Varuna mudra is performed by touching the tip of the little finger to the tip of the thumb with the remaining three fingers being held out straight. The Varuna Mudra / Water mudra balances water and helps to prevent dehydration. This is helpful for balancing the blood stream and also helps with muscle shrinkage and Gastroenteritis. The Varuna Mudra / Water mudra balances water and helps to prevent dehydration. This is helpful for balancing the blood stream. The Vayu Mudra / Air Mudra is performed by placing the index finger underneath the thumb so the tip of the index finger touches the base of the thumb. Hold the other fingers out straight. The Vayu Mudra / air Mudra balances the air element and helps with relieving arthritis, gout, rheumatism, Parkinson’s disease and paralysis. Surabhi mudra: Helps energy to flow through the body. The Shunya Mudra / Emptyness Mudra is performed by placing the third finger underneath the thumb, the tip of the third finger touching the base of the thumb. The other fingers are held straight. The Shunya Mudra / Emptyness Mudra helps to sharpen your mind and can also clear ear infections. It is best practiced for 40 – 60 minutes at a time. The Surya Mudra / Sun Mudra is performed by placing the fourth finger underneath the thumb so the tip of the fourth finger touches the base of the thumb. The other fingers are held out straight. The Surya Mudra / Sun Mudra is best performed for 10 -15 minutes. It helps with weight loss and also reduces anxiety. The Prana Mudra / Life Mudra is performed by pressing the tips of the ring finger and little finger to the tip of the thumb. The remaining fingers are held out straight. The Prana Mudra / Life Mudra improves strength and mobility, helps lower cholesterol and blood pressure and helps with getting you active. It also boosts the immune system and helps sight. The Apana Mudra is performed by pressing the tips of the ring finger and middle finger to the tip of the thumb. The other fingers are held out straight. The Apana Mudra is the best mudra for helping digestion. Practice it for 45 minutes a day and it will help regulate blood sugar, relieve constipation, gastroenteritis and IBS. The Apana Vayu Mudra / Heart Mudra is performed by pressing the tips of the ring and fourth finger to the tip of the thumb and curling the index finger over to press the base of the thumb while the little finger is stretched out. Practice this mudra for ten minutes at a time and it will help with the wellbeing of your heart. It regulates palpitations and helps digestion. To perform the Linga mudra, interlock the finger of both hands. Now hold the thumb of the left hand straight up and wrap the index finger and thumb of the right hand around it. Practicing the Linga Mudra for ten minutes will produce heat in the body and will assist the lungs and relieve phlegm. It can help to cure colds and fevers and is a great help with bronchial infections. As well as helping to heal physical health problems, mudras can heal emotional and psychological problems too. Mudras are actually a wonderful form of brain training because when you use specific hand and finger formations you activate different regions of your brain. Mudras can also be used to influence brainwaves, for instance to enter the positive and productive alpha brainwaves. You can use mudras to create positive emotions too. Take a moment now to gently rub the tips of your thumb and index finger together. Notice how it creates a very positive feeling? And that is just one very simple gesture. Mudras can also balance your right and left brain. Balancing the brain’s hemispheres is one of the proven benefits of meditation. And it is a benefit of mudras too. When you balance the brain’s hemisphere in this way you enhance cognitive function and improve your memory. As I mentioned, there has been preciously little scientific research into the mudras. However, science is just observation. You can conduct the science, the observation for yourself. Make a fist. You will feel power and anger. Now relax your hands, place them palms up in your lap, and curl your index and thumb so their tips touch. This is the Chin Mudra. Notice how it makes you feel relaxed? Of course, this is very rudimentary science. However, nothing can beat personal observation. Notice how mudras make you feel. And stick to the mudras that work for you. If you’re interested in learning more mudras, you can see them all here. Vajroli (Thunderbolt) : Energises the sexual organs. Tse : Stops sadness and depression and improves insight and intuition. This is one of the best mudras for your mind. Ganesha : Strengthens heart. Opens bronchial tubes. Open fourth chakra. Promotes courage, confidence and openness towards other people. Usha : Helps you wake up in the morning and provides energy. Pushan : Helps with digestion. Increases oxygen and decreases carbon-dioxide. Detoxifies. Bronchial : Strengthens breathing and helps with respiratory problems. Asthma : Helps with asthma and other breathing difficulties. Pran : Activates root chakra. Improves vitality and self confidence. Linga : Increases body heat and helps with breathing problems. Apan : Supports removal of waste products from body. Balances mind. Improves liver. Shankh : Used in Hindu rituals. Also helps eliminate throat problems. Surabhi : Helps with rheumatism and osteoarthritis. Shunyu : Helps with ear and hearing problems. Prithivi : Strengthens root chakra. Increases sense of smell. Good for hair, fingers, nails and bones. Varuna : Clears congestion to helps with sinus and throat problems. Vitarka : Promotes the energy of teaching. Bhudi : Balances fluids. Helps with dry eyes and mouth. Strengths kidney and bladder. Apan Vayu : Helps with heart attack and other chronic heart problems. Promotes calmness. Back : Helps with back problems, especially after exercising. Kubera : Helps you to find specific things and to progress towards your goals. Kundalini : Increases sexual energy and strengthens sexual organs. Ksepana : Helps skin, lungs and large intestine to eliminate toxins and other wastes. Also removes expended energy. Rudra : Strengthens the earth element and corresponding organs, including the heart. Garuda : Strengthens blood flow and circulation to provide a boost to your vital organs. Balances mood. Suchi : Relieves constipation. Helps eliminate unwellness, spite, impatience, violent temper, and clinging. Mushti : Helps you find the cause of aggression and to let anger out in a healthy way. Matangi : Improves breathing and boosts energy in the solar plexus. Stimulates wood element, which represents new beginnings. Helps with organs. Mahasirs : Removes tension in the head and face to reduce headache, sinus, neck and back pain. Hakini : Balances right and left brain and enhances communication between the two, which improves memory and cognitive function. Khechari : Creates energy and helps to remove hate, anger and desire. Vajra : Increases energy and circulation. Bhramara : Strengthens immune system and helps with allergies. Uttarabodhi : Strengthens metal element, which helps with lungs and large intestine. Refreshes mind and body. Detoxification : Helps remove waste and toxins and also removes negative thoughts, bad habits and similar negatives. Shakti : Helps with diaphragmatic breathing and promotes inner calm. Maha Sacral : Helps relieve abdominal complaints and menstruation pains. Makara : Activates kidney energy and fights depression to create positive energy. Mukula : Is used to balane the body’s electrical field to cure pain and health problems. Joint : Helps to promote joint health, especially in the knees. Kalesvara : Promotes inner calm and stillness and promotes positive character traits. Shivalinga : Stops listlessness, depression and fatigue and promotes positive energy. Jnana Mudra and Chin Mudra: Connect the individual with their deity and increase wisdom. These infographics show all thee different mudras. Click the images for full size. Anjali : Used for inner peace and calmness. Aids in meditation and prayer. Dhyani : Helps with contemplation and brings new insight and information to mind. Mudra of the Inner Self: Opens the heart chakra and connects you with the divine. Lotus : Opens the heart chakra. Promotes love. Brings blessings. Varada : Helps with self forgiveness and brings blessings. Bhumisparsha : Grounds you and promotes oneness and enlightenment. Dharmachakra : Represents the cycle of life, death and rebirth and inspires you to contribute to society. Vajrapradama : Gives you faith in yourself and promotes self confidence. Naga : Promotes wisdom and shrewdness and helps with everyday problems. Pushpaputa : Helps with openness and acceptance. Helps us to both give to the universe and to receive. Abhaya Mudra: Helps you overcome fear and brings protection. Shambhavi (eyebrow gazing): s Reduces stress. Activates third eye. Promotes insight. Bhuchari : Promotes memory and concentration. Calms the mind. Agochari : Stimulates root chakra. Promotes concentration. Calms nervous system. Akashi : Balances brain hemispheres. Produces calm. Creates inner balance. Bhujangani : Aids to digestion and relieves stomach complaints and gas. Kaki : Improves mouth, gums and digestive tract. Boosts sense of taste. Yoni : Closes off external sources to create a supreme relaxation. Shanti : Stimulates root chakra to provide more energy to the body. Maha Mudra: Helps with many physical pains and diseases. I hope you have found this guide to mudras helpful. It is my aim in this guide to provide the science, art, and realities of mudras and to show you how you can use mudras in your own life. It is my passion and purpose to bring spirituality and meditation to a million people. If I have helped you, please will you leave a comment? That will let me know that I am moving in the right direction. Wow.. Hats off to you for creating this amd sharing your insight in an easy to understand format!! (plus pictures!) 🙂 woot woot! You truly gave me a completely new way to look at mudras! I cannot say THANK YOU ENOUGH! I am Truly grateful and blessed! Shalom, Namaste and God Bless! Hi Ember, thank you so much for your kind words. Support from readers like you gives me the motivation to keep dedicating myself to this site. Love and light! Thank you so much for this guide, I’m discovering the mudras world and I find it so wonderful. All the light and keep your good work. What if you are missing half of your index finger on your left hand? How does that affect these? The mudras are still the same. Just make sure you’re always comfortable and if there is any pain stop. Thanks so much. I’m very happy you enjoyed the article, Ram. I appreciate your kind words. Good articles with useful insights. Although, I found it to be a little preposterous when you say that you don’t attribute their origin to any specific culture while using All the information documented and practiced in Hindu culture! Mudras have been practised since Vedic times in India which predates any other evidence of use in any other culture… Hinduism and Buddhism were later offshoots of the same, so India is the place! Anyways, peace and love to all! The charts were very helpful for being able to see the different movements.